I did not get a lot accomplished at home today, but I did spend a lot of time with friends. This morning was my weekly church social group, and then I was invited to a friend's house for lunch. 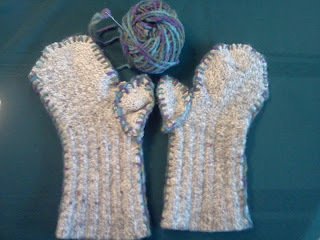 While at my friend's house, she showed me her new mittens she had made herself out of a pair of wool socks. I immediately asked if I could write a post about them. Who knew you could mittens from a pair of socks. I sure didn't! 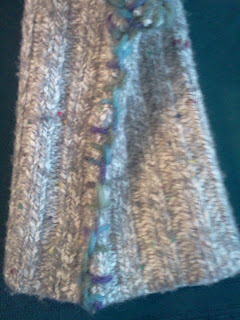 Using a large needle and yarn she used a blanket stitch around each sock. A piece of the heel was cut out and turned around to form the thumb. These photos were taking on my cell phone so they are not real clear, but I hope you can make out how she did the blanket stitch. I tried them on, and they were very comfortable. So if you ever need a pair of mittens, check your sock drawer. Eureka! 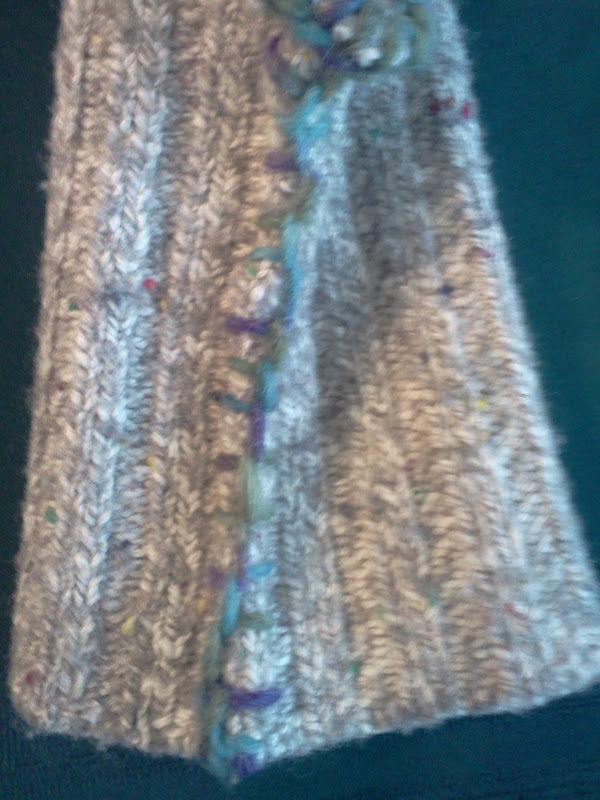 Now you've shown me what I can do when a cerished woolk sock gets a hole! thank you!